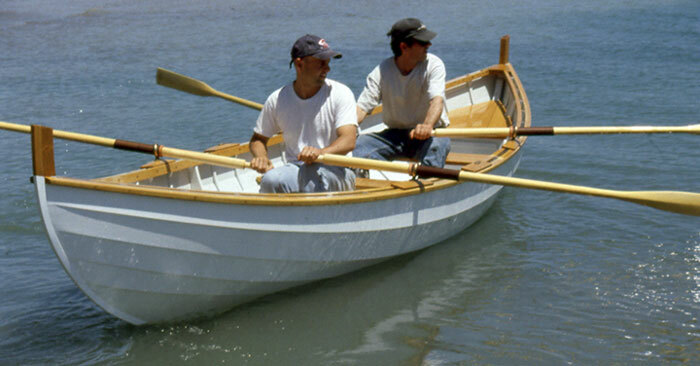 Andy Rockwood launched this John Gardner Surf Dory on June 24, 2001. He built the boat for Stuart Walker of North Muskegon, MI, who plans to use the boat on the Great Lakes. 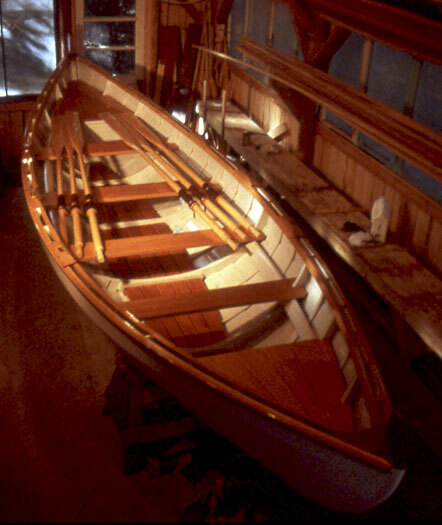 Andy built the boat using traditional methods with white pine planking on white oak frames. The bottom is mahogany with a 1/2" false bottom of oak for abrasion resistance. Fastenings are bronze screws and copper rivers. Andy writes that he had a lot of help on the rivets from his wife.